Overall prices are important for travelers and future expats. We want to be sure that we can afford the vacations, or that the quality of our life styles won’t be lower. Knowing prices of groceries, accommodation, transportation, cars and average salaries before we will relocate can be very helpful for many people. 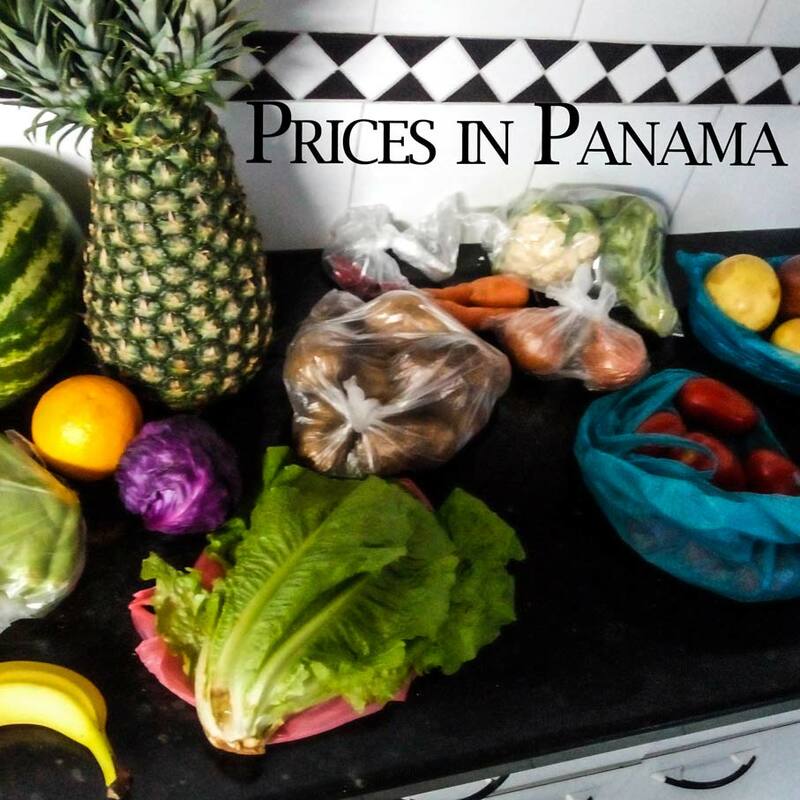 If you know where to go, prices can be cheaper in Panama City than in other parts of Panama. Main mistake people do here is an assumption that most shops will have similar prices. In a capitalistic country we shouldn’t in general pay much more for the same product of the same brand in the same shop, just few streets farther, however this is Panama. Two same markets can offer completely different prices based mostly on the location of our shop, and I don’t mean couple of cents. The most expensive from my experience is Rey at Via Spain (next to Via Argentina). Locals call their customers ‘yeye’ which means posh people, pretending to have a lot of money. How else can you describe people who are too lazy to go few metro stations and save half of their money for the same things? The other expensive place is Riba Smith. Funny thing it’s also the only market where most people are white and you can very often hear English. Sound like for yeye, huh? This market however is the only major one where you can find products you miss from North America or Europe. Some of them you’d be surprised they don’t sell in other places. Often second place in a row you visit to finish your shopping. You can find the shop here. I know about this one from locals. San Miguelito is definitely a place you don’t want to go to, however shop’s entrance is connected with the metro. Go there, buy and come back, nothing will happen. To describe you is it worth it, let me put some numbers. It takes around extra 10 minutes to go there and costs 0.35$ (metro ticket). What you can buy more, is around double the amount of products for the same amount of money. The exact location is here. Problem with this supermarket is coming back. Taxis won’t take you back to downtown, you have to take a metro. Rey ~ 9$/kg; El Fuerte ~5$/kg but! 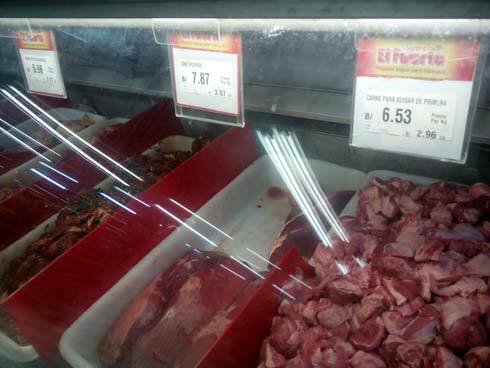 you have also chicken breasts with bones for 3,5$/kg. Bread, spices, rice, eggs etc are everywhere similar. Alcohol however is cheaper in Rey. All four pictures are from El Fuerte. Those ones are very expensive in Panama City and not so much in the other parts of the country. 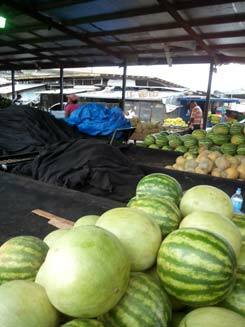 Especially at the country sides you will find very fresh vegetables, fruits and fish, however do not expect a big variety. Strawberries are crazy expensive, there are no cherries, berries and couple of other nice vegetables. Instead of this you have all year long watermelons, melons and pineapples. Again, those in supermarkets taste casual, while those from farmers and from small markets have more taste than I thought they could have. However prices are big. 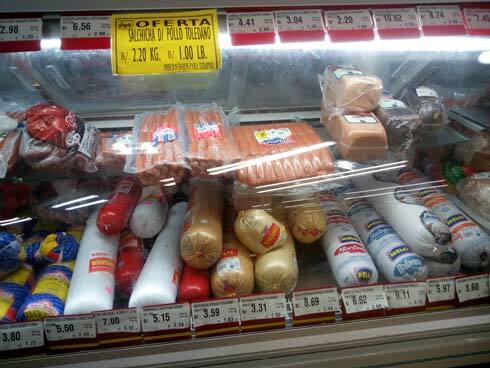 I thought Panamanians will eat a lot of fruits and vegetables which can be grown here – nope. Omitting the topic what do they eat instead, the fact is that it makes prices bigger, as it’s not such a popular product. To get good prices (I mean 20-40% of the city prices) you have to go either to the vegetable market (which is next to the fish market and other one next to the Tribunal Electoral) or to one of the roads heading outside of the city, just drive couple of km and you will see people standing next to the read. 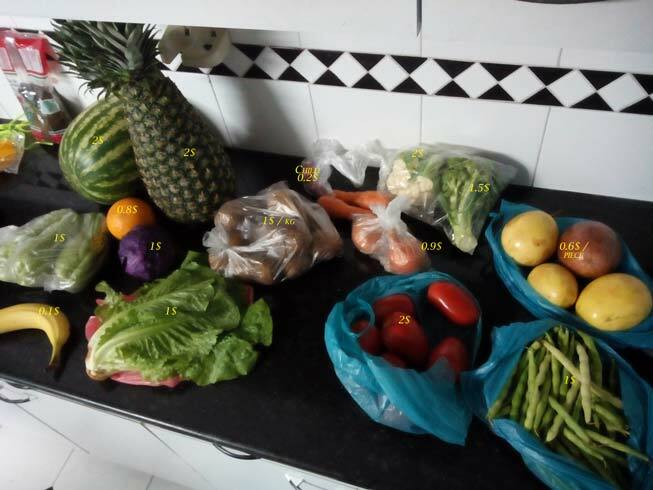 All of the fruits and vegetables above costed around 19$. 3-4$ in the country side and fish market. In El Fuerte fish costs around 6-10$ per pound, when for a 2+kg in the fish market I paid 8$. If you don’t have a car, take a metro to 5th of May (Cinco de Mayo), take a road towards Casco Viejo and between those two places turn left, if will be straight in front of you. Seafood Market has also one additional advantage: it has many not so expensive restaurants with fresh seafood, you can try there local specialties. Remember to be there quite early. There are only a couple of stands open after 13 (1 pm.). 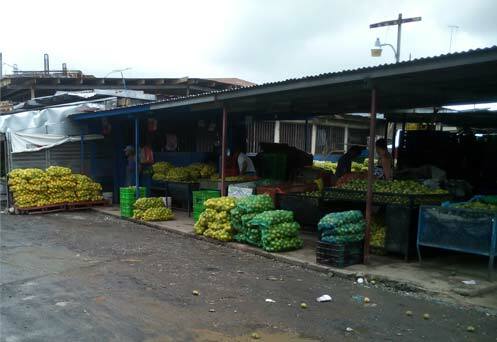 I haven’t been however in this vegetable market yet, because we went to Wholesale Food Market (Mercado de Abastos) which is next to a bus station. 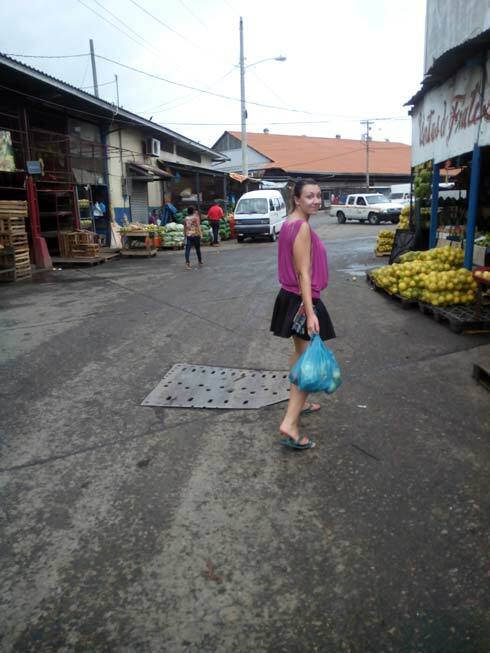 From a European point of view, groceries in Panama are very expensive. 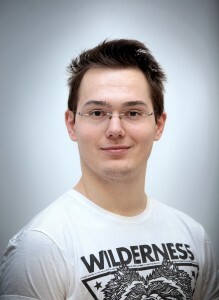 There is also a small variety of them, which makes cooking even harder, after 3-4 hours of shopping in different places and spending a fortune. At the same time people from USA says it is not so bad, and some Central and South American countries are more expensive (fx. Chile or Costa Rica). I believe 300$ per month is a minimum for one person, and only if we know where to go shopping.